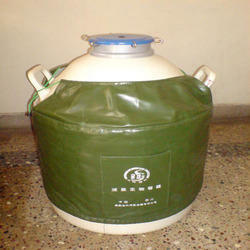 We are a leading Wholesale Distributor of cryo cans and liquid nitrogen dispenser pump from Bengaluru, India. It contains 5 racks with each rack having a capacity to hold 150 vials. Total capacity is 750 vials. Rate of evaporation is around 100-120 ml per day if stored in a air-conditioned room. 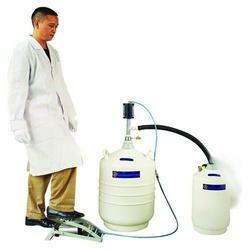 It is mainly used to transfer the Liquid Nitrogen Dispenser Pump from the bigger container to the smaller one. It is highly demanded in the market due to its wide application area and supreme quality. Looking for Liquid Nitrogen Storage Cans ?